Twelve-year-old Grey gets sucked into a hacked, virtual reality version of Fortnite Battle Royale along with one hundred other players. To get home, he must become one of the top five players before the season ends, or he’s stuck in Fortnite for another two months. Grey logs into Battle Royale as usual, but unlike before he passes out and wakes up in the lobby and everything is as real as can be. Four others stand there with him as an admin tells them they are the “new meat” and their game has been hacked. 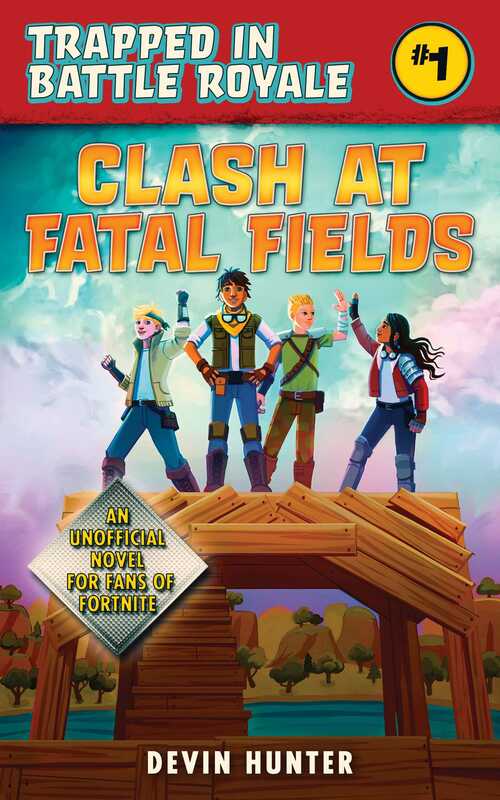 Their consciousness will be trapped in this version of Fortnite until they can become the top five players for a season. New to the fighting arena but ambitious, Grey sets out for glory with one hundred other players on a flying bus. As they jump and land on the island to battle, he struggles to figure out the tools as people come to kill him. He dies quickly, much to his disappointment. Maybe this won’t be as easy as he thought. While waiting for the next game in the lobby, someone gives him some tips to help him out and he fares a bit better. They form a duo in hopes of both escaping the game together. Will Grey be able to escape, now that he has an ally?